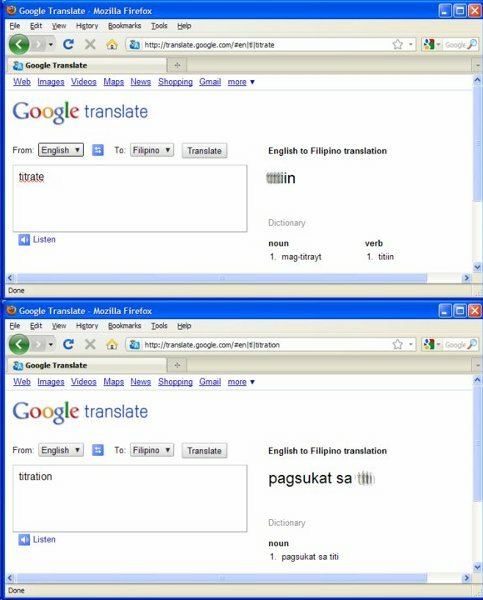 Translating English words to Filipino has been a struggle for years. There are times when you try to explain a phrase by translating it, but there seems to be no proper words to substitute it. Some words or sentences are just so complicated that even Google Translate gave up. 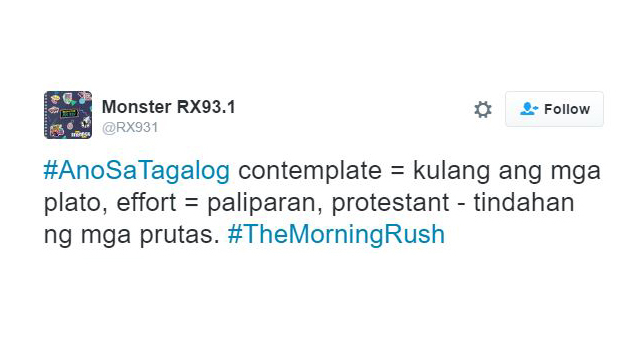 The Morning Rush, the always-funny radio show of Monster RX 93.1, knows this all too well. To join in the celebration of Buwan ng Wika, they asked their followers to share their favorite Filipino words/phrases and how they would translate it. The results seem straight out of a Dolphy or a Tito, Vic and Joey song translation comedy bit.